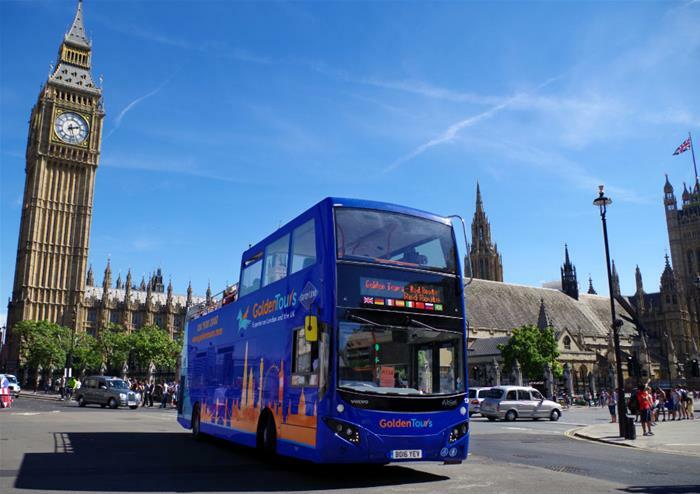 Spend the whole day adventuring through London on our open top bus tour! Hop-on or off at any of our 60 stops on 3 different routes to soak in the very best of the city. Taking you to all the favourite locations including Her Majesty’s royal residency - Buckingham Palace, the notorious Tower of London and to Parliament Square, home of the iconic royal wedding venue, Westminster Abbey - you will not be left disappointed! The Essential Route offers a live English-speaking guide throughout your journey or you can use the audio guides available in eleven different languages giving you the chance to discover London’s incredible story as you drive through the city! 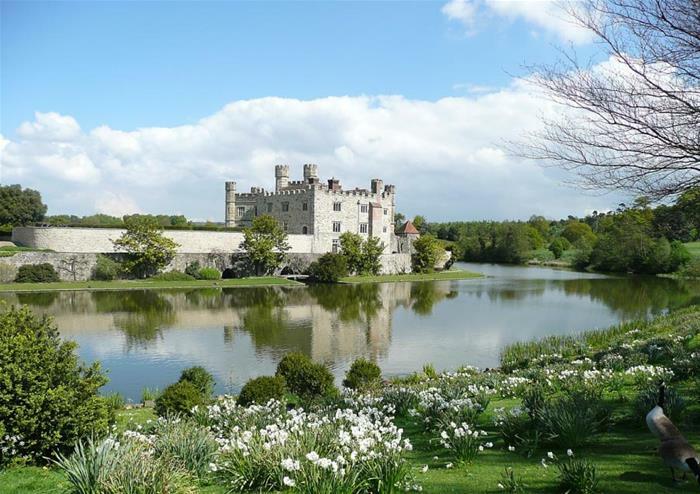 Have the special chance to enjoy a private visit to Leeds Castle, ‘the loveliest castle in the world’. 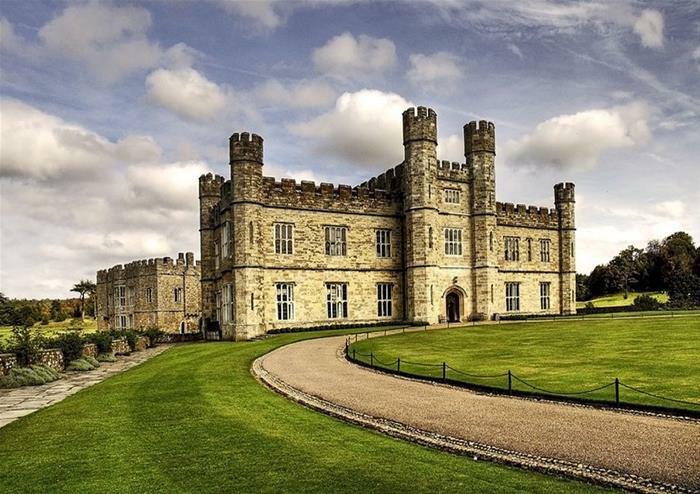 Set in a beautiful location of 500 acres of parkland, it’s no surprise that the Castle was once home to some of the most famous royals in British history. Tudor King Henry VIII and his first wife Catherine of Aragon both stayed here! When exploring the castle with your private visit, your tour guide will let you in on how Tudor life would have once been inside the Castle and to really bring the experience to life – you can sample a glass of mead in the Gatehouse! 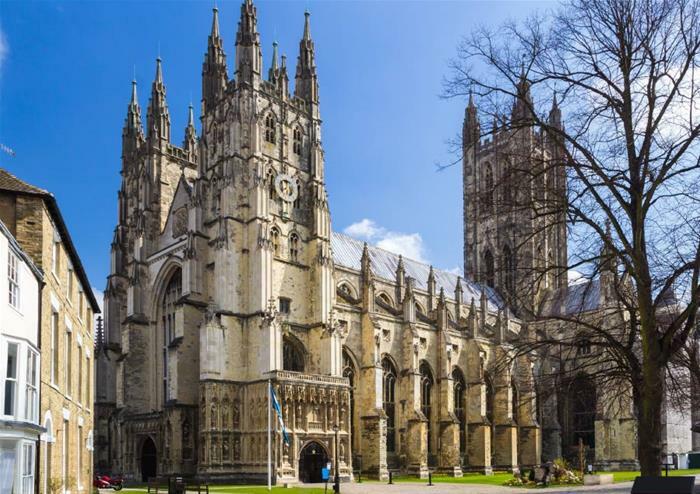 Set in the cobbled streets of the beautiful city of Canterbury, Canterbury Cathedral is the oldest in England and one of the most important pillars of Christianity. 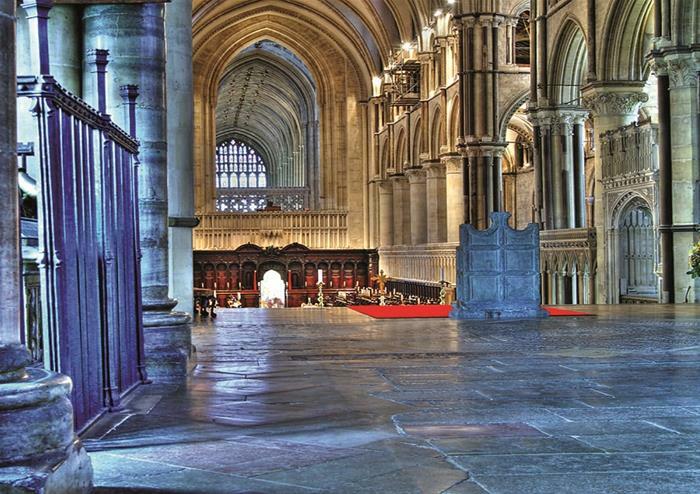 Explore the tombs and resting place of many legendary people as you discover the story of Thomas Becket’s terrifying murder in the cathedral walls in 1170. Be sure to take in all the beauty that this gothic building has to offer! We want to give you a care-free adventure so to save you the time and energy of trying to find somewhere to eat, you will receive a delicious free lunch pack to enjoy! 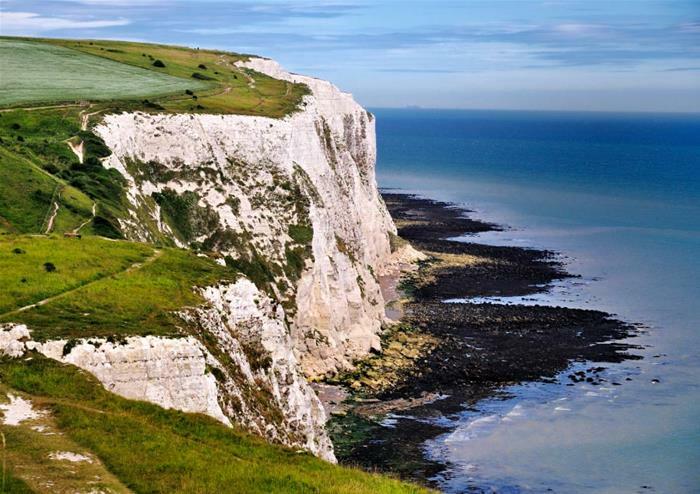 Take in the sights of the famous White Cliffs of Dover on your drive through Kent, ‘The Garden of England’. You’ll be able to take a snapshot of these iconic cliffs before heading over to Greenwich. 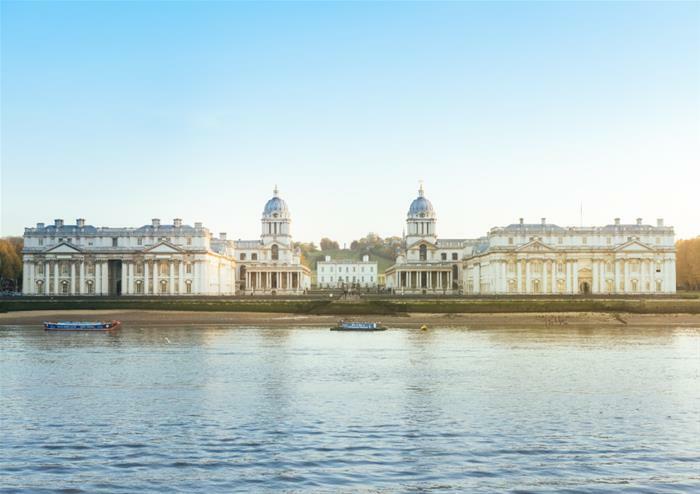 At Greenwich, you’ll be able to see the Old Royal Naval College, designed by St Paul’s Cathedral’s architect – Sir Christopher Wren. Take to the waters on a delightful River Thames boat ride through London. You’ll get to soak in views of Tower Bridge and the exquisite St Paul’s Cathedral before reaching your final destination of Embankment Pier. To give you an extra opportunity to explore the great city of London, you’ll get to choose between a free Royal Walking Tour of The Beatles London Walking Tour. If you opt for the Royal tour, you’ll be let in on inside secrets on the royal family and their favourite London locations! Or if The Beatles is more of interest, this tour will take you to where the British band made their music and celebrated their rip-roaring successes! Your free walking tour can be taken at any time during your stay.